If you own a property it is a top priority to make sure it is fully insured for both the building and the contents. Unfortunately, there are many property owners letting out their properties to tenants without adequate cover which could leave them thousands of pounds out of pocket. 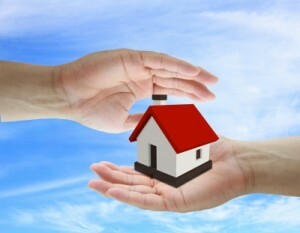 What are the issues regarding buy-to-let property insurance? When insuring a property that you intend to let the risks associated are different to those covered under a normal buildings and contents policy. Therefore, a standard buildings and contents policy will not provide adequate cover and the insurance company could refuse to pay out any claim you make. What are the different risks involved when insuring a buy-to-let property? most standard home insurance policies have a standard 30 day 'unoccupied period' limitation, so periods in excess of this will not be covered. 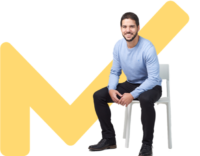 Often void periods on a rental property, or holiday periods with student lets, can extend for months leaving the owner without cover during this time. many insurers will not provide cover for 'high risk tenants', these could include students, multiple sharers or people on benefits. most standard home insurance policies will not cover malicious damage or theft unless there has been a forced entry. This could leave the owner vulnerable to a tenant wrecking the property and the insurance company refusing to pay out. whilst most properties are let unfurnished you may still want to insure soft furnishings such as curtains against damage. Who is most vulnerable to underinsuring their buy-to-let property? people who are working away and decide to let out their existing home for a period of time. Often it will not cross their mind to contact their insurer to inform them of the change in circumstances. those homeowners who are unable to sell their current home and decide to let it out to enable them to buy their new home but again fail to inform their insurers. if you are ever going to leave your property unoccupied for over 30 days, or decide to let it out, inform your insurance company immediately. always explain clearly about who you are letting your property to and for how long. make sure are you covered for contents such as soft furnishings or any items of furniture. if your insurance company refuses cover search for another company who are prepared to offer cover but do not leave yourself uninsured. Please take this issue seriously and make sure you are fully insured when letting out a property. The stories regarding cannabis farms, wrecked homes and criminal damage are bad enough but with repair bills often over £50,000 you cannot be too careful.